Edwina fitzPatrick’s Arts and Humanities Research Council funded practice-based PhD with Forestry Commission England and Glasgow School of Art has investigated how national and international approaches to sited art in the landscape have changed over the last 50 years, including how this (often temporary) artwork might be archived. The Lost & Found? 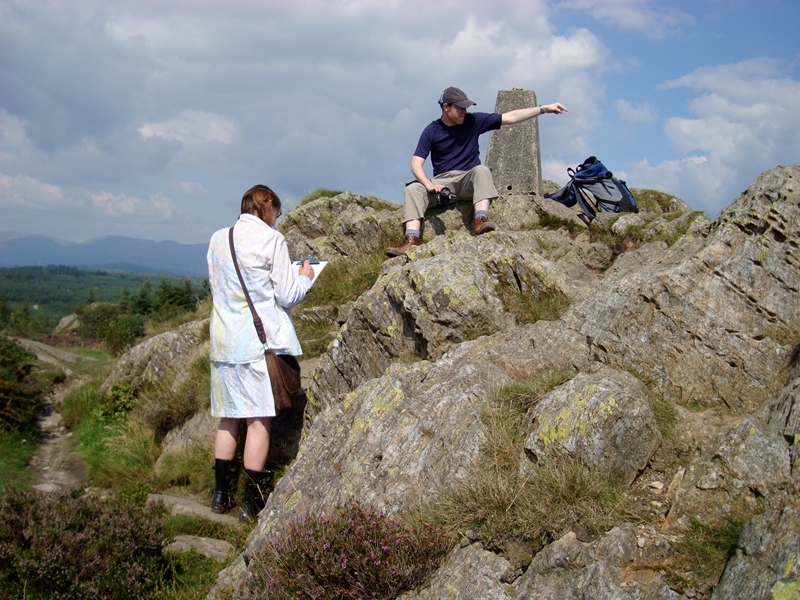 exhibition focuses on Grizedale’s part in this history and how the sited artworks have resisted the preservation impulse, often disappearing back into the landscape leaving seemingly little or no trace. Creating a comprehensive timeline of the 37 years of artists’ residencies and projects in the Forest has proved remarkably difficult, so trace, loss and our impulse to preserve, have been recurrent themes in fitzPatrick's attempts to archive this rich history which is manifested through The Lost and Found digital archive and the Missing Persons Files. The Lost and Found archive is an interactive digital archive, featuring all known artworks sited in Grizedale Forest for a week or more, since 1977. It deliberately fuses the artworks with the place that they were created for. The Missing Persons’ Files display the chronology of the Grizedale artists’ residencies from their beginning in 1977, initiated by Peter Davies from Northern Arts (the then Regional Arts Association for northern England) in liaison with Bill Grant from the Forestry Commission at Grizedale Forest. The Anxious Roots and Routes videos aim to visualise how a city dweller who is new to the Forest, might feel when entering it for the first time. Would they feel exhilaration, or anxiety? 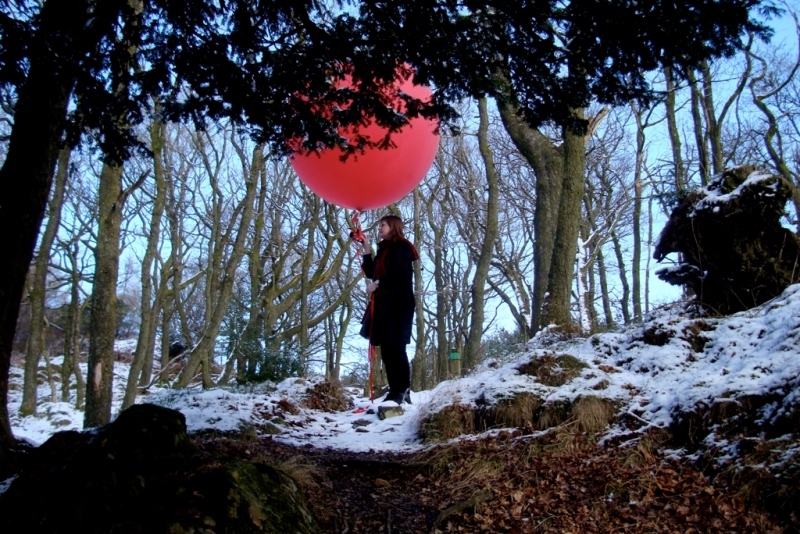 The videos visualise her attempts to enter the Forest accompanied by a 5½ foot (1.6 metre) red balloon. She continued this over the cycle of a year, simultaneously shooting these attempts from two perspectives: one of the camera suspended in a harness under the balloon, the other sited on the ground.